I can’t cope with music playing in the background when I write. It’s distracting. Why? 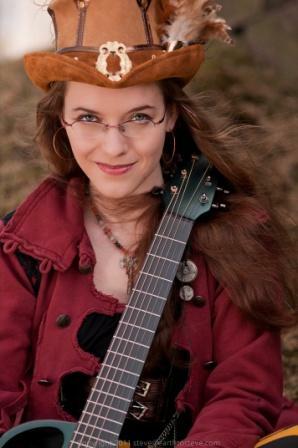 Because I am also a musician, and every time I hear music, it’s hard to fight the urge to sing, or pick up the guitar. That said, it would also be very rare for any piece of writing of mine to not include music in some way. Writing is my ability to breathe, and music is my oxygen. Neither one can exist without the other. When I had the idea to write The Book, I knew immediately that music would have a place in the story. Though it’s not a feature, it’s important to my main character’s arc. 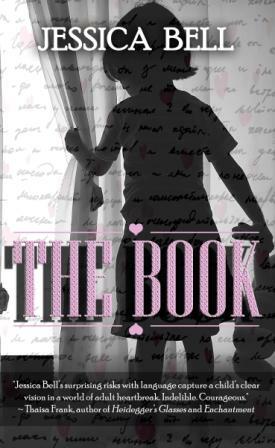 About 60% of The Book, set in the early 1980s, is written from the perspective of a five-year-old girl named Bonnie. I hint, through the journal entries of her mother, Penny, and the transcripts of Bonnie and Dr Wright, her therapist, that due to her premature birth, she has trouble learning, and significant behavioural problems and eccentricities. However, I try to juxtapose this through Bonnie’s matter-of-fact point of view. The reader is then able to see how differently she perceives the world compared to the adults in her life. This is where my soundtrack comes in. When I was a kid, I remember getting song lyrics wrong all the time. The worst misunderstanding I can remember is from REM’s Losing My Religion where the first line of the chorus became ‘let’s pee in the corner’. This gave me the idea to show the reader some quirks in Bonnie’s personality through the way in which she misunderstood lyrics. However, in the end, this is not what I focused on. Because I wanted to emphasise Bonnie’s overly logical perception of the world, I made her comprehend the lyrics perfectly, and comment on how they didn’t make sense. Bonnie doesn’t grasp the fact that lyrics can be metaphorical and/or symbolic, she only hears what the lyrics mean literally. Through this, I was able to show that despite the adults around her being conditioned to believe she had a learning disability, she is actually quite skilled at vertical thinking, and might very well have the qualities of a genius hiding behind her over-emotional demeanor. For example, I used Talking Heads’ lyrics from Burning Down the House to illustrate this. Bonnie confidently explains that you can’t put fire out with fire, and that fire isn’t wet, so why would you need a raincoat? After her mother tries to explain that the lyrics are like art and don’t have to make sense, she shrugs and decides to accept the fact that despite the song not ‘making logic’, at least it is great to dance to. This not only shows that she can make sense of language, but also shows that despite not agreeing with something, she is willing to overlook it, and embrace its value. A pretty strong trait to have as a five-year-old, yes? It’s also something that young, stressed, ill-informed parents of the 80s would boil down to her being just a quirky five-year-old girl, and not notice how smart she is. I rooly rooly like that man that sings the sweet dreams are made of weeds song. I askted Mummy if all bodies are looking for sumfing, and she said they are. And I askted what she was looking for, and she said that she was looking for love, but she already founded it, so she’s not looking anymore. I askted her to show it to me. But she said that love isn’t tangible. I don’t know what tangible means, but I would still like her to show me the love she found. The excerpt above also draws attention to Bonnie’s misunderstood wisdom by showing how capable she is of rational thought. Annie Lennox must be a man because she has short hair and wears a suit and tie in the video just like Bonnie’s father does; and the fact that logically, if you find something, you should be able to hold that something in your hand. Trying to understand music through the eyes of a child was an amazing and eye-opening experience. It really made me realize how much of what we ‘know’ is almost like a stamp. We learn something, and assume it is correct, because that’s what we’re conditioned to believe. But Bonnie questions a lot of basic things in life that we take for granted, and it made me realise how much adults can learn from children. Children tell the truth. Children’s opinions aren’t blurred by a lifetime of experience. Their opinions are pure and simple. And sometimes pure and simple is a smarter way to live than the tainted and complicated lives us adults lead. Don’t you think? The music that influenced The Book wasn’t just a trigger for the muse. Once a week I host a writer who uses music in their creative process. This weekend, to celebrate a year since the release of My Memories of a Future Life, I’m turning The Undercover Soundtrack inside out and talking to two musicians who have been inspired by novels featured on this series. 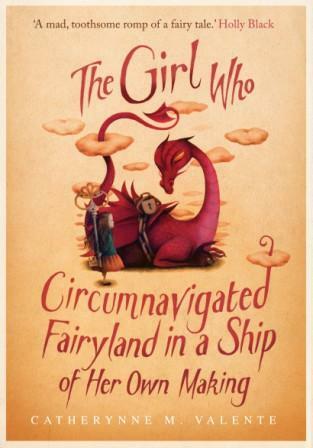 Today I’m talking to SJ Tucker, @s00j, who has composed entire albums to novels by Catherynne M Valente, and most recently for The Girl Who Circumnavigated Fairyland In A Ship Of Her Own Making. 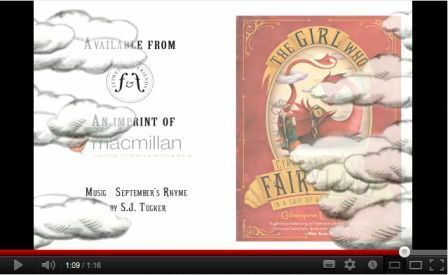 Sooj, how did you write September’s Rhyme, the song for Catherynne M Valente’s book trailer? September’s Rhyme was inspired by chapter one, where September has to figure out how to get herself into Fairyland. The Green Wind gives her lots of advice, but most of it she finds confusing rather than helpful. To her credit, she finds a way to make it work for herself rather quickly. September’s Rhyme is a teaching song, to help September and other potential heroines remember the formula for the riddle that must be solved to pass the border into Fairyland. I was sitting in the doctor’s waiting room when I wrote it, reading the manuscript on my laptop. 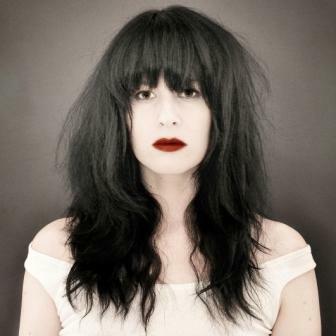 Catherynne says you’ve written several albums based on her stories. How do you condense a novel into a set of songs? How do you do justice to a novel’s world and characters in a different medium? Cat’s work is so descriptive and inherently musical to me that the songs fall into my lap as I read. I get ideas left and right. She keeps me pretty busy. My creative process is straightforward where Cat is concerned: start reading and get my butterfly net ready, ’cause the ideas are coming! So far, I’ve written songs inspired by The Orphan’s Tales duology: In the Night Garden, In the Cities of Coin & Spice, Palimpsest, The Habitation of the Blessed, Deathless, and The Girl Who Circumnavigated Fairyland in a Ship of Her Own Making. Cat’s novels strike me as being like a family – in the characters, stories and scenes there are aunts and uncles and cousins and parents and grandparents. Some of those family members, you don’t see but once a year at Thanksgiving. Some of them are part of you from the very beginning. Others can surprise you and become vital later on. That’s how I’ve approached writing the songs and albums to accompany Cat’s work. I write songs about the characters and scenes that strike me on first view. Then I look for anyone I might have left out who needs time in the spotlight. Then I make time for the surprises – the things I never expected to write a song about. Sometimes Cat has written a song into a book for me to find and set to music, as in the case of Go To Sleep Little Skylark, a lullaby in The Girl Who Circumnavigated Fairyland. Do you compose to other writers’ novels or for other writers’ book trailers? I have songs inspired by Lewis Carroll, Seanan McGuire, Terri Windling and one collaboration with CSE Cooney. Lots of other collaborations and inspirations are in the works. So far, Cat is the only contemporary author who has gotten my song engine to bear fruit more than once. It doesn’t hurt that we pretty much agreed to be good friends the moment we first met. That was back in 2006, when she was on the cusp of releasing The Orphan’s Tales. How long does it take you to write an album? Do you redraft much? Do you write first, then take it to the studio, or does the song evolve in the recording? I take a terrifying number of notes. Thank goodness for laptops – specifically for voice memo recording and document catching software. Every novel I decide to write songs for gets its own master file on my laptop, where all of the ideas for songs go. I’ll often include passages from the novel, the sections that I know have a song waiting between the lines. Sometimes, getting all of the songs out, or even coaxing just one along, can take months. Sometimes I’m intensely self-critical, as I’m sure most writers are. Fortunately, redrafting for me usually involves moving stanzas around, catching new verse ideas as they fall, and singing different versions into my laptop or iPhone. It’s a very satisfying process, especially when I feel ready to share. There’s nothing like playing a new creation for its first audience, watching expressions and getting first opinions. Again, it all started with Cat’s duology The Orphan’s Tales. She mentioned that someone had done an instrumental album for her first novel, The Labyrinth. And ‘wouldn’t it be cool if somebody did an album for The Orphan’s Tales?’ I had devoured The Orphan’s Tales, but it didn’t occur to me until that day that Cat and I would eventually go on tour together and present many an odd multimedia book-and-song circus all over the country. But I went down into her basement for a couple of hours and came back with a song called The Girl in the Garden, and we all wept. I play a song for an audience several times before I take it to the studio. Part of the reason is that I am constantly touring and performing. I have to slow down in order to get recording done. Also, songs evolve when I play them live. Verses shift, entire new sections present themselves, which I didn’t even know were missing. I’ve learned to let a song have time to bloom before I put it in front of the machines to be captured. Some authors might be wondering about approaching a songwriter for a trailer. How much does it cost? Are there any rights issues? Do you release the music on your own album too? I have a flat rate for song commissions, but each time I’ve had a song already written that the author and trailer director were specifically requesting. Paying mechanical rights to the songwriter is an option, but as anything that officially involves my music on Youtube is free advertising for me, I usually only require a link to my download page and proper songwriting credit in the video description, or in the video itself. And yes, I release just about every song I write that I feel is good. I love that my songs are used in book trailers. The more we all cross-pollinate and cross-promote our work, the more people will find out about us. I urge other indie musicians to say yes to opportunities like providing music for book trailers, because you could find a whole new audience. Cat’s and my mutual fans are some of my favourite people on earth, and they are legion. Let’s face it: there are millions of us, writers and songwriters alike. If we form alliances and create memorable shared works, the world is a lot more likely to pick us out of the crowd and join our little circus. The more we help each other out, the more we retweet and link for each other, the more beauty we can create, the more fuel we will have for our creative fires, all of us. That’s what I want for all of the creative folk I know – to be our own renaissance. SJ Tucker is everywhere. On Twitter and Facebook. Her website is here.You can find out about her latest album here. The Undercover Soundtrack will be back in conventional authorly form on Wednesday – and as it’s anniversary week there will be a chance for commenters to win a very special prize… To make sure you don’t miss it, subscribe now! Once a week I host a writer who uses music in their creative process. This weekend, to celebrate a year (or thereabouts) since the release of My Memories of a Future Life, I’m turning The Undercover Soundtrack inside out. Today and tomorrow I’m talking to two musicians who have been inspired by novels featured on this series. Stories with origins in music, coming full circle when singer-songwriters are stirred to interpret them. Beth, novels are huge. Songs are a mere handful of words. How do you condense a story into one song? I first ask myself a series of questions. What is the emotional make-up of the protagonist? What issues are they struggling with? What past or present event is haunting them? What is the current emotional state of the protagonist? What does the protagonist have to do to begin to climb out of that and the events that are causing it? I begin by writing a short story about the main character’s emotional state and the dilemma they find themselves in. 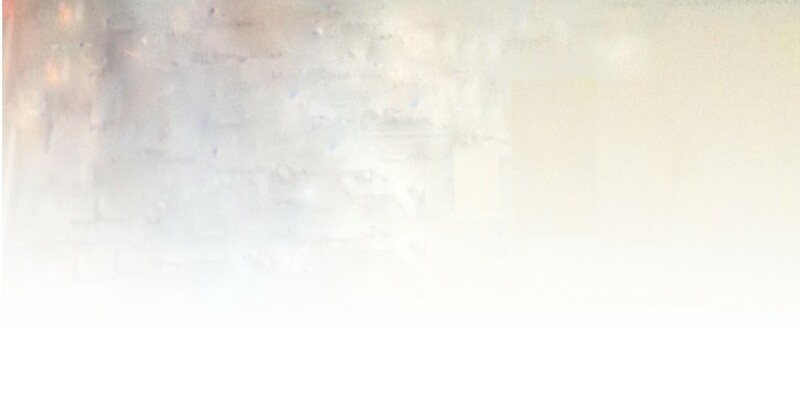 After that I write the lyrics as a poem, choosing words that are very visual. I then go to my piano and as I reflect about the character, I start to create an intro to my song, which sets the mood. Then I start to write the melody and chord structures that convey my lyrics and music. From there I start composing the chorus, whose essence must grab the listener by the throat. What other music work do you do? I compose songs, soundtracks and perform the vocal for films. I also record background vocals for various pop recording artists and their tracks, perform as a singer-songwriter in cabarets and clubs, and also sing in concerts on Broadway that feature actors from the Broadway stage. How did you start writing songs for book trailers? Ever since I was a teenager I have had a tremendous passion for mystery and crime thrillers. I have always been intrigued about what makes people tick, the reasons behind their sadness and what haunts them in their lives. It drives the music and lyrics in all of my songwriting. 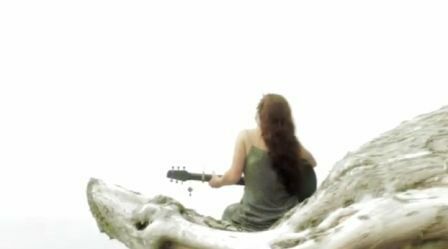 The idea of composing music for book trailers came to me during a Facebook conversation with Zoe Sharp. She has a great passion for music and when I told her I was a singer-songwriter she asked to hear my work and loved what I sent to her. I realized my character-driven songs would be a perfect marriage with the psychological portraits of her characters and she was thrilled when I asked if she’d like me to write a song for one of her novels. 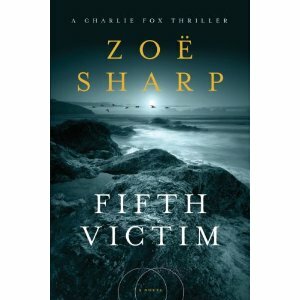 Zoe chose Fifth Victim. I wrote The Victim Won’t Be Me. 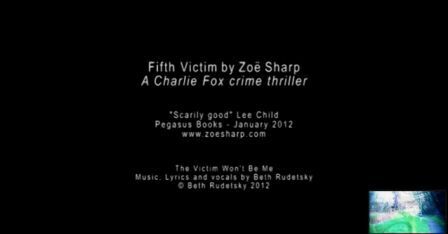 It received wide praise from authors and crime fiction bloggers and another author, J Carson Black, asked me to write a song and make a trailer. Her novel, Icon, is exciting, eerie and stays with the reader long after the end. One of the reasons is the main character – a film star who has fallen out with Hollywood, struggles with addiction and is then kidnapped and held for ransom. On his escape he finds he is being pursued by a far more lethal killer. He starts out as a broken soul who has lost his way in life and then finds he has the strength to struggle for recovery and fight for his life. I wrote the song Vengeance, produced the trailer with filmmaker/director Mark Ezovski who wrote a script to resonate with my song and the novel’s original story. I orchestrated the music for me on piano, along with violin and cello. I got two musicians (Karl Kawahara on violin and Mairi Dorman-Phaneuf on the cello) to record the arrangement with me. Going back to the writing, how long does it take you to finish the song? Do you redraft much? Do you write first and then take it to the studio, or does the song evolve during the recording? I am a perfectionist and after I have the basic draft I go back to it many times, finessing the music score and lyrics. My signature is to compose dramatic, haunting music and compelling lyrics. I keep at it until I feel the song is at its most moving. 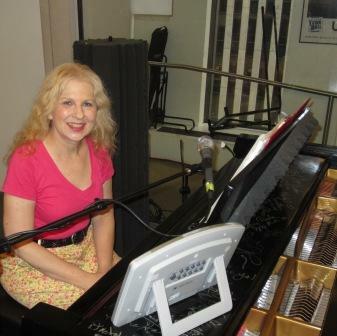 Then I record a version with just piano and my voice and send it to the author for approval. After that I write a full music arrangement for me and other musicians and we record it at Millrose Music studio run by Pete Millrose. He also does a wonderful mix. Are there other authors you’re inspired by? I’d love to write music for Gregg Hurwitz, Wallace Stroby , Joseph Finder, Christopher Smith, Douglas Corleone, CJ Lyons and Steve Jackson . 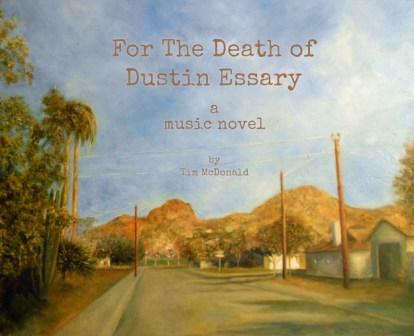 Some authors might be wondering about approaching a songwriter for a book trailer. How much does it cost? The cost is USD $5,500-6,000 and covers the entire trailer. I compose the music and lyrics to the song, perform the vocal, orchestrate my song for me on piano along with wonderful musicians and then record my song. I work with a filmmaker and director to produce the visuals with script, cinematographer, professional actors, studio and props. Finding all those people takes time and know-how – for instance, a great cinematographer elevates a basic trailer to film quality, as you can see with the Icon trailer (cinematographer Robert Michael). We did not use stock footage, sound effects or music from other sources. A photographer filmed live action footage in Arizona where the novel takes place. The author doesn’t have to do a thing but sit back and enjoy the result. Are there any rights issues? I copyright my song. The author, publisher and I are free to share the song and video with any sites. I also help with publicity. A lot of authors are shy and don’t have the experience or know-how to publicise their work. I do – and I love to publicize the authors and their work through the trailers. I am told that people listen to my songs over and over – a thrilling feeling for me as a composer and singer.